The LA Times has an excellent book review article in today's Health Section regarding "Super Foods" that help fight against cancer. The book by Dr. David Sevan-Schreiber, a 2 time brain cancer survivor, prescribes diet, meditation, and exercise to help fight against cancer. Nutrition is one thing that cancer patients or survivors "can go home and take control of," says Dr. Sevan-Schreiber. For example, did you know, a component found in the spice turmeric has been shown to inhibit a key chemical pathway in cancer cells? That pathway is important to a cancer cell's ability to keep dividing. 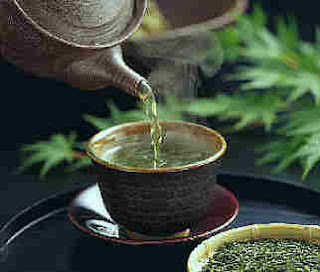 Polyphenols in green tea, including one called EGCG, reduce growth of new blood vessels in animal studies (a process tumors need to grow), and suppress the growth of several cancer cell lines in the lab. Garlic, leeks and onions strongly inhibit growth of colon, brain, lung, prostate, and breast cancer cells in the lab. Omega-3 fats in fish oil reduce inflammation, a culprit in cancer and heart disease. To read the full LA Times Health Section article click here. To order Dr. Sevan-Schreiber's new book, "Anticancer: A New Way of Life" on Amazon click here.